In making predictions, it’s best to include the predictions of many different methods. Each method has its strengths and weaknesses, and taking an average gives better results. The Power Rank began when I developed an algorithm for ranking teams. However, as I learn more about making predictions, my method will take its place along with others in an ensemble of predictors. Ultimately, I think this will be most useful in predicting the NCAA tournament. But right now, I’m practicing on the World Cup. 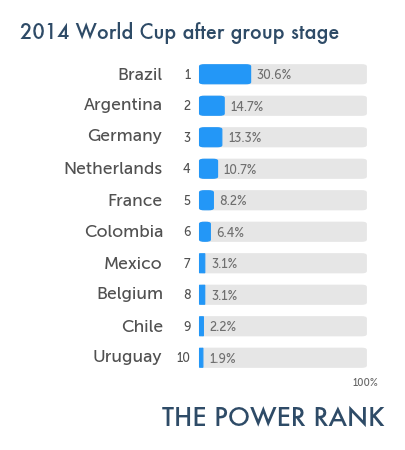 My recent article on bettingexpert looks at the ensemble predictions for the World Cup after the group stage. To check it out, click here.